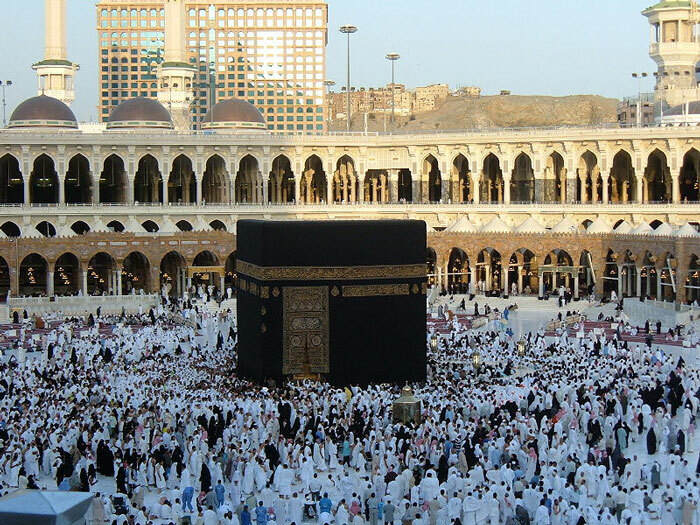 The Qibla (Arabic: قبلة‎‎‎) is the direction Muslims should face during Salah – toward the Kaaba in Makkah. It is also the direction toward which the deceased are orientated when they are buried. Awrah (Arabic: عورة‎) refers to the intimate parts of the body, for both men and women, which must be covered with clothing. Exposing the Awrah is unlawful and is regarded as a sin, except in situations of necessity.